It has been a long time, but this Supreme Court Challenge, which began in April 2014, is finally over. The Supreme Court accepted the discontinuation of the case agreed to by both parties on Friday 17 July 2015. 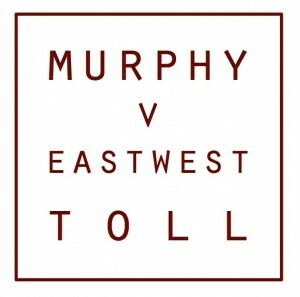 This courageous case was enormously important in the community battle against the deeply flawed East West Link project. On behalf of Residents Against the Tunnel, and presuming to speak on behalf of all community groups involved, our deepest gratitude goes to Anthony Murphy and his extraordinary, talented and community-minded legal team: Ron Merkel QC, Melinda Richards SC, Julian Burnside AO QC, Simona Gory Barrister, Meghan Fitzgerald, Hollie Golding and all the staff at Fitzroy Legal Services, Paula Shelton and others from Shine Lawyers, and the many other experts, volunteers and community members who helped behind the scenes. It is a rare and brave thing for a person to take a State Government to court. It is even rarer to win. While the case may not have won in a court of law, it won in the court of public opinion and achieved what it set out to do – expose the flawed business case. Through this case Victorians were made aware of, and became concerned about, the lack of government transparency in spending huge amounts of state funds. This brought the East West Link front of mind in the run up to the election, and played a vital part in the outcome. The Murphy case drew attention to the accountability of governments to the people – accountability for the way in which large infrastructure investments are made, and accountability for listening to what the community wants, not doing what is politically expedient. In that sense, the Murphy case set a precedent. Communities can have a strong voice, especially when they are represented by such talented and good people as they were in this case. We thank all those who supported this case – without you it would not have been possible to call the government to account, and eventually have the business cases released. Funds raised were used to pay court costs and disbursements, and leftover funds were donated to Fitzroy Legal Services in recognition of their hard work over the many months of this case. They have many friends and may they continue to help those who need it for many more years.